Andrew B: I first met Stan Lee one Tuesday evening in late October 1972. In our front room. Over beans and poached eggs on toast. I was ten years old then and, of course, Stan wasn’t there physically. That would have been odd. What was there instead was the first issue of a new comic my Nan who worked in a newsagent had dropped by. It had a big green guy not looking too happy on the cover. The Hulk. And another guy in a red and blue costume swinging across the cover on a kind of web. Spider-Man. And four other guys (one of whom was a girl), one in flames and one made out of what looked like orange house bricks. The Fantastic Four. The Mighty World of Marvel #1. Day One of the rest of my comic-reading life. Because the thing about Stan Lee was, he never had to be literally with you to make an impact on you. Like all great writers, all he needed to make you think, to make you feel, to make you change, were words. Words that when written down are just shapes and squiggles on a page, but when spoken to the spirit become stronger than steel, more powerful than plutonium. I know. 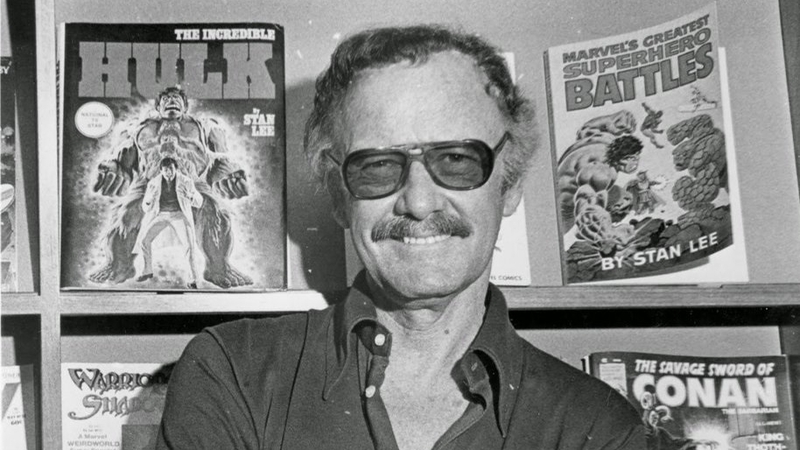 Stan’s 1960s heyday as a writer is half a century ago and his optimism and faith in humanity, in the hero inside us all, have been sullied by political and cultural cynicism since, while comics themselves have grown darker, more brutal, less wondrous. And sadly, I know. Stan won’t be around any longer to add further to the mythology to which he gave such an inspiring, invigorating voice. A hero to a boy of ten. A hero to a man now considerably older who still remembers that October evening in 1972. A hero to us all. Excelsior, Stan Lee. I’ll miss you. Matt C: I couldn't pinpoint the first time I became aware of Stan Lee. I suspect it was at a very young age, towards the tail end of the '70s, probably when I saw the legend "Stan Lee presents..." in a UK reprint of an earlier Marvel comic. His name was always there in those days, and even then it underscored his importance, which gradually became clearer over the next few years as I grew to realise his true significance in this medium (and genre) I was becoming increasingly obsessed by. 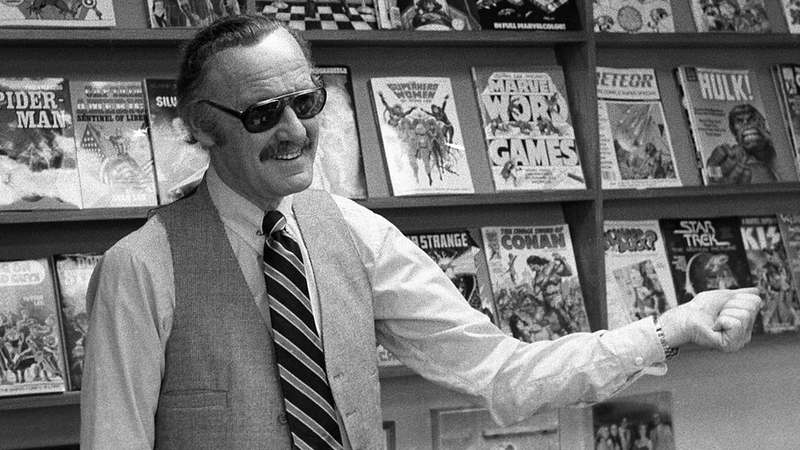 Stanley Martin Lieber, aka Stan 'The Man' Lee. The Fantastic Four. Spider-Man. The X-Men. The Hulk. Doctor Strange. Black Panther. The list goes on. Yes, there were others involved in the creations of these iconic characters (Jack Kirby and Steve Ditko most notably), and Marvel Comics didn't spring into existence through Stan's talents alone, but his role in it all was crucial, integral... It's not an understatement to say the pop culture landscape would be drastically different without his input. His skill at humanizing outlandish creations was a vital, essential component of their enduring success, but perhaps equally key was his role as the face of the publisher. He was a brilliant salesman who understood branding, and via his 'Soapbox' and the likes of the Merry Marvel Marching Society onwards, he engaged with his audience, making the nerds and misfits who related to the flawed superheroes fighting the good fight within the pages feel as though they had someone representing on their behalf, someone who understood them, buoyed by an almost endless reserve of positivity and excitement. 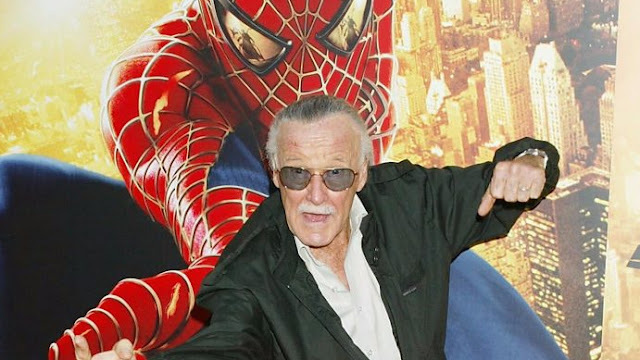 In later years he's become the cameo king of Marvel movies, and after several decades courting Hollywood types it was hugely gratifying to know he got to see his creations reach an audience wider than he could ever have imagined. Many other writers and artists contributed to the Marvel Universe across the decades, but without Stan we wouldn't be thrilling to these awesome spectacles we now witness on the big screen, or indeed burning through our wages purchasing the infinite varieties of merchandise, or of course, returning to the adventures of Peter Parker, Tony Stark and Thor Odinson and many more again and again. Stan's passion and enthusiasm and all round likeability ensured I became a True Believer for life. And I will never stop believing. Andy H: I'll say it up front, Stan Lee didn't get me into reading comics. He was just a little bit before my time. When I was reading my first Spider-Man and X-Men comics I didn't know who Stan was. I didn't know who the writer or the artist was either. It was all about the characters and losing myself in this exciting, visual medium. But therein lies the truth: without Stan, I probably wouldn't have had the opportunity to discover these fabulous four-colour worlds. Stan and his fellow visionaries created something that has kept me entertained for years, and my love for it was such that I wanted to share it with fellow fans when I opened Paradox Comics. There you go: it's all Stan's fault. 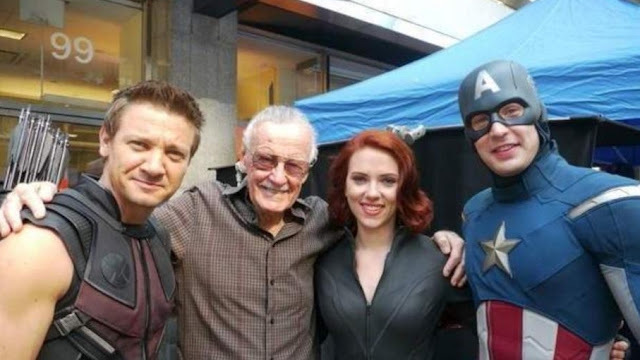 In the 21st century Stan found a whole bunch of new fans thanks to the Marvel Cinematic Universe and we all looked forward to where or what his next cameo would be. Even on the small screen his presence was felt thanks to shows like The Big Bang Theory. He was meant to live forever, like his creations. Thankfully they will live on and with it the legend that is Stan Lee. So thank you Stan for this Fantastic, Amazing, Spectacular, Incredible and frankly, Uncanny legacy you have left us. Rob N: We all knew the day was coming, but now with the passing of Stan Lee it feels like we’ve closed the door and said goodbye to the last and greatest of the Marvel architects who built a creative brand in the early '60s that may never be equalled, let alone bettered. The Internet is awash with tributes to Stan, many of which quite rightly dwell on the level of his vision, his creativity and his success. It’s no exaggeration to say that without him the American comic book industry would be a shadow of itself now, if indeed it even existed at all. If you’re reading this then odds are you're a fan of comic books and you certainly don’t need me to list his achievements. Instead I’m going to mention something that many of the media obituaries probably won’t. Yes, Stan Lee gave me a lifetime of entertainment in those lurid and bombastic early Marvel titles that I devoured as quickly as I could find them on the spinner racks, but more than that he gave me a social conscience and a sense of telling right from wrong. Whether it was a bold speech from Captain America as he addressed a confused crowd of men who had been tricked into trying to lynch an innocent man by the Hate Monger, or whether it was one of Stan’s many impassioned soapbox editorials in which he condemned racism and bigotry in no uncertain terms, Stan Lee understood only too well that with great power comes great responsibility and in those 1960s Marvel comics back when he was the face and voice of the company, he used that platform to implore young and impressionable minds like mine to be compassionate to one another and to treat people fairly. In-between the cosmic Kirby splash pages and the inner monologues of a tormented Peter Parker, worried for the health of his ailing aunt, I heard Stan’s message born out of the man’s sense of compassionate liberalism, and even at a young age I learned not to judge a man by his skin colour and other clichéd sayings that were probably considered quite radical and possibly pinko-communist inspired during the early '60s in the USA. Yes, Stan wanted to sell comic books, but he also wanted to teach his young readers to stand up to racism and bigotry and all the other evils of the world. Who knows how many impressionable kids took those messages on board while Captain America and the Falcon fought the Red Skull for the nth time. Certainly, I think I was one of them, and I thank him for it. Excelsior indeed. May his legacy always endure. Really great tribute guys. Sums up how all of us feel after yesterday.